Itâs been close to 3 months with no update. Hope all is well. I really enjoy your work! Updates? Listen to this podcast ! Informative podcast. There isnât another podcast out there like this. Well produced and interesting. The host has a hypnotic voice. I like the interviews - experts in the field add perspective. Great podcast. Make more please ! First time, last time listener. I have a keen interest in foreign intelligence and covert ops. However, when I began listening to the most recent episode and you have John Burton of Stratfor as your guest, I backed out. Stratfor known as the kingmaker of shady anti American ops...no thanks. Youâre pushing an agenda Iâm 100% against. Really wide range of issues covered in some depth and at a good pace. From crypto currencies to lock picking, I was surprised by how easily John and his episode guest brought me in. This podcast is an easy subscribe. Iâm pretty happy when each episode drops. Johnâs thoughtful analysis and his expert guests make this podcast entertaining and educational. It is accessible for anyone from security professionals to laypeople who want to know a little more about the world. Good conversational look at current issues. Covert contact has been the best podcast on the topics of foreign policy, intelligence, terrorism. With guests from within the field and information technology experts John's interviews help the audience digest complex topics. John Little's Podcast brings critical analysis together with some of the best subject matter experts in the arena. The topics are timely and the discussions are professional. Far and away my favorite national security / intelligence / foreign policy-related Podcast. Big fan of John Little. The podcast and the guests John has on are knowledgeable and engaging. Always look forward to each new episode. Love the pod! Great and intelligent commentary on what is going, on and not getting covered. I really appreciate it every week. Always even-handed, covers a wide variety of topics, and includes a diversity of guests that give me a great respect for our security professionals. Analytical and accessible, the best of both worlds. Fantastic analyses on a variety of subjects impacting security. One of my favorite Intelligence-related podcasts. The creator is considered and well-spoken, and has interesting guests with informative backgrounds. Highly recommend for accurate "intel" aka information. This is one of THE (and I don't use all caps lightly) podcasts you need toâand mustâbe listening to to have a more nuanced and multifaceted understanding of some the most salient geopolitical and national security issues facing us now. If you know anything about anything, then you know this podcast IS a must listen. I can't recommend this podcast enough. Tell your friends. Tell your family. Listen to this podcast and gain a deeper understanding of the world beneath the surface of current affairs. John W. Little and his expert guests provide level-headed and informed analysis of the intelligience services, foreign policy, and military commitments. I highly recommend this podcast to anyone trying to understand our complex, dangerous world. Great guests. Important topics. Level-headed analysis. This is a great podcast to stay informed on issues of US national security. This podcast is one of my favorites. I rarely write reviews but this one deserves it. The guests are great; the topics are informative; the host is professional and thoughtful. Please keep them coming. Blogs of War-Cover Contact provides rare sober analysis, from an informed insider's perspective, of today's seemingly intractable national security environment. I live in DC and study national security issues. 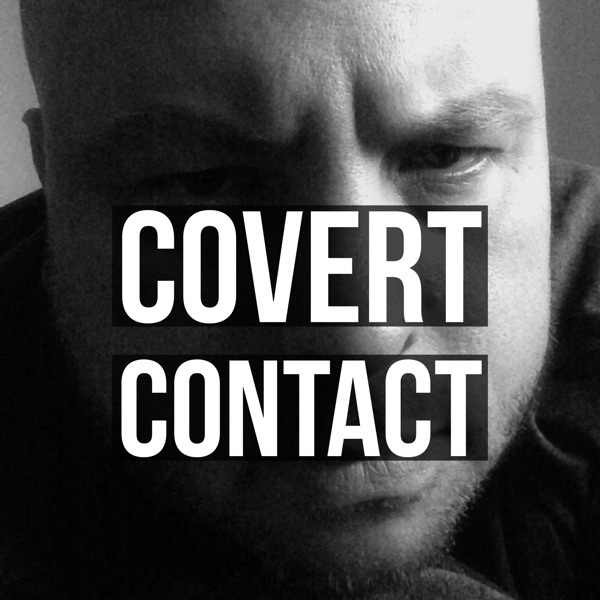 Covert Contact is my go-to. Production is great, and the conversations are a good mix of expert and casual (the casual aspect makes the things interesting beyond just the issues). I'm a huge fan of the Bombshell too! John Little is an excellent podcaster. He alway provides an informative and thought provocating program for anyone intrested in national securtiy issues. Cool guests and a good banter makes listening enjoyable. I often find myself nodding yes to Little and his guests take on the present. Too often the echo gets so loud it is difficult to hear what is really happening. With so little "real analysis" in the constant stream, John Little and his guests provide a welcome synthesis of the Historical and the Now. Current events, implications and outcomes analyzed by informed professionals. It'd be difficult to find a better and more comprehensive podcast relating to national security and foreign affairs. Always has well reasoned and thoughtful discussions with top notch experts. Broad range of topics but never sacrifices detail or analysis. Great production value and discussion. Add it to your feed. Hits the sweet spot in terms of content and segment length. Enjoy the analysis and insight from the hosts. Long-winded, and liberal. You can definitely tell this guy is politically left-wing and a Hillary supporter. The best podcast I've come across on intelligence and foreign affairs. John and his guests do an exceptional job of breaking down extremely complex issues in a fashion that is accessible and enjoyable to all. Whether you spend your career in intelligence or are simply interested in learning more, it's worth subscribing to. Five stars. I have followed John Little and his work at Blogs of War for years and I can say that this podcast continues his tradition of offering a bleeding edge insight to the new era of open-source warfare and the effects on our world. His ability to procure content from nuanced sources that are typically missed in tofday's information overlaod world is outstanding. It's ecletic news for today's policy junkies. National Security issues are often emotional and full of details. John Little knows his stuff and is an excellent presenter. He chooses topics that are of immediate importance to listeners and gives a good analysis. Episodes are not too long nor too dramatic. Expert opinions come from the experts themselves, as well as from inexperienced listeners who are interested in National Security. This is a podcast for everyone. The breathy commentary on security and intelligence issue is overly dramatic and self congratulatory. If you can stand to listen for a while the content is not bad, but the officious time and strange, overly long, transitions of 'code broadcasts' and gunfire make this very difficult to listen to.